Traffic accidents are common, from fender-benders to highway crashes. In fact, over 10 million accidents occur on U.S. streets each year. The key is to be prepared so that the costs involved in recovering from an accident are not devastating to your finances. The Cost of Car Accidents in the U.S. Automobile traffic accidents cost $299.5 billion annually in the U.S. When you’re looking for insurance quotes, it’s important to look for coverage that makes sense for your concerns and budget. An independent agent can help you get fast quotes that are tailored to your needs. You can also get answers to your questions about how much insurance is best for you, what discounts you can get and what you can do to keep your costs low. Your local agent understands the factors that make up a quality car insurance policy and the requirements in your state. Independent agents partner with multiple carriers to find the best personal auto insurance coverage for you at affordable rates. Your agent will help you find car insurance tailored to your needs, not to a formula that describes what the average driver should have. When you work with an independent agent, you are not stuck with one insurance company and only the solutions that company provides. Instead you will have a range of choices from top insurance companies. Your independent agent will assess your needs based on factors such as the number of drivers in your family and their ages. Your agent will also look at bundling multiple vehicles together, or combining your home and auto policies under one insurance company, so that you can get the best value for your dollar. Your agent can help you review several policy choices, coverage limits, deductibles and pricing and choose the best fit for you. 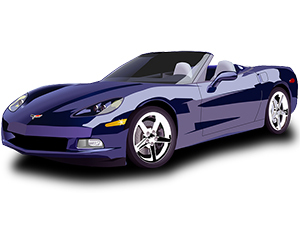 Is Auto Insurance Coverage Required? Drivers in every state are required to have auto liability insurance, such as personal injury protection. Car insurance liability requirements vary by state, and include a minimum amount for bodily injury costs per person and per accident as well as a minimum for property damage liability. If you cause an accident, liability coverage pays those costs, up to the limits set for your policy. In addition to required liability coverage, you may also want collision coverage to protect your investment in your vehicle. And depending upon your specific needs and risks, you may also want comprehensive coverage – now known as “other than collision.” Together, collision and comprehensive can provide protection for everything from accidents to theft and vandalism. Personal injury protection: Similar to medical payments coverage, PIP coverage can pay your medical costs after an accident, regardless of fault. But PIP offers expanded coverage that includes coverage for lost wages.